Customer reported problems with vehicle electrics and after diagnostics found that the voltage was fluctuating significantly on tickover (whilst idling). The customer sent the ECU to us for independent ECU Testing and repairs. We tested the ECU and managed to confirm the fault and isolate it to single faulty component. The customer authorised us to proceed with repairs and we went on to replace the faulty ECM component with a new genuine part. The ECU was then retested and passed on our ECM Testing rig. This Chrysler Voyager 2.4CRD was fitted with a Bosch EDC15C5 Engine ECU. We’re able to Test + Repair this unit as well as other ECU’s which are fitted to vehicles. 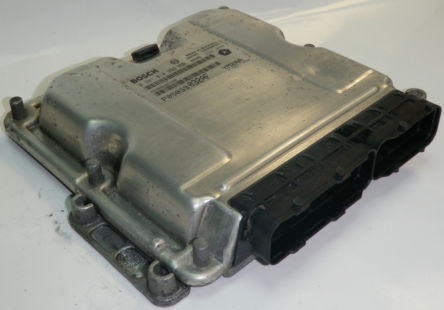 If you’re Chrysler has a faulty ECU / ECM, get in touch today for an Instant quote and see how we can help you. You can email us, drop in or call us on 0208 853 5000. This entry was posted in Repaired ECU's and tagged 0281 010 814, 0281010814, Chrysler Voyager ECM Problems, Chrysler Voyager ECU Faults, Chrysler Voyager ECU Repairs by smartAjaz. Bookmark the permalink.